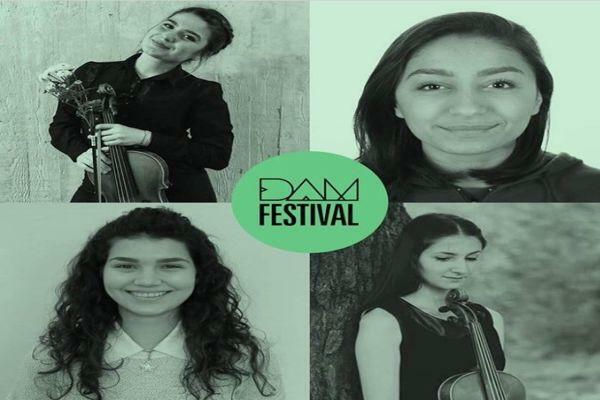 Ardita Osmani student of Viola study program at the Faculty of Arts of the University of Tetova, was awarded with second place at the DAM Festival in Prishtina, organized by the “West Coast Symphony Orchestra” from Vancouver, Canada. She was very pleased with the appreciation made by the jury of the aforementioned festival, attended by renowned artists from the country and the region. “It was a very successful and great competition. I was one of the four finalists of that competition, while there were competitors from Macedonia, Albania, Montenegro and Kosovo. We initially competed with a video audition, and then we competed among each other. 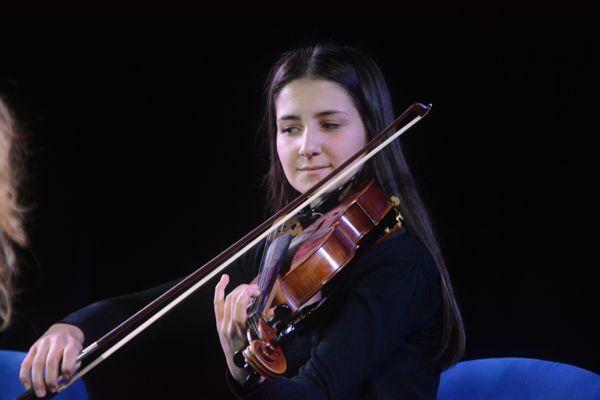 On March 28, we played in front of a jury of four members (three violists and orchestra president). After the audition phase, the winner was announced. I took the second place, while my colleague from Albania won the first place” – said Ardita Osmani. 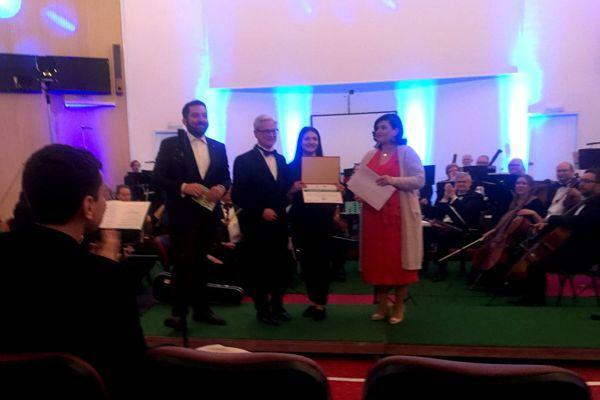 The second place in an international festival is not only a success for the student Ardita Osmani, but for our University also, respectively the Faculty of Fine Arts, said Prof. Dr. Blerim Grubi. “Ardita is a great novelty, especially for us at the University of Tetova, because the Faculty of Arts prepares staff of this kind, capable of winning international awards at the DAM Festival and on this occasion with a fierce competition, Ardita won the second place. For us it is a success and these are the first beginnings for us instrumentalists, because they are the first artists to come among us” – said the professor of the Faculty of Arts of UT, Prof. Dr. Blerim Grubi. He expressed said that such people will be soon involved and represent Albanians in art and culture in the country and beyond. Ardita is the first artist from Macedonia that was awarded such a price at this festival.